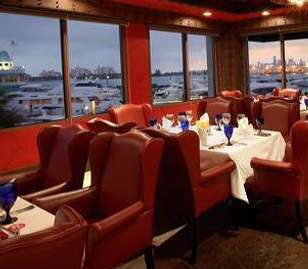 We have listed all of the All You Can Eat and Buffet Style Restaurants that we have located in Miami Beach, Florida below. 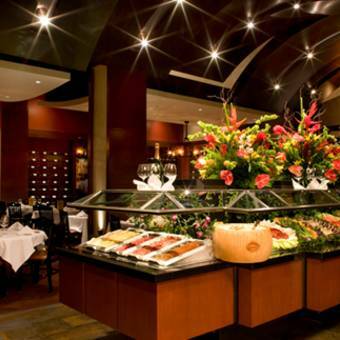 Find all you can eat Brazilian rodizio style churrascaria steakhouses, chinese buffet restaurants, all you can eat sushi, all you can eat crabs, and other all you can eat restaurants near Miami Beach, Florida. If you know of any All You Can Eat and Buffet Style Restaurants in Miami Beach that we do not have listed or if there is any innacurate listing on this website please contribute by Adding a New Listing Here. Lunch served from 12:00 to 2:30 pm, Monday through Friday Dinner served from 5:30 pm to 10:30 pm, Monday through Thursday, from 5:30 pm to 11:00 pm on Friday, from 5:00 pm to 11:00 pm on Saturday, and from 3:00 pm to 9:00 on Sunday. Traditional Brazilian method of cooking meat on an open-flame rotisserie. Brunch served from 12:00 to 4:00 PM on Sunday. Dinner hours are from 5:30 to 10:00 PM, Monday through Thursday, from 5:30 to 10:30 PM on Friday, from 4:30 to 1:30 PM on Saturday, and from 4:00 to 10:00 PM on Sunday. Churrascaria: a traditional Brazilian method of cooking meat on an open-flame rotisserie. Byblos brings the exciting flavors of the Eastern Mediterranean to diners in a progressively designed space. Byblos represents a marriage of Eastern Mediterranean cuisine with strong influences from both traditional and local ingredients. Using time-honored classic cooking techniques and modern methods the menu is a true coastal and cultural mosaic, served family style in a convivial atmosphere.